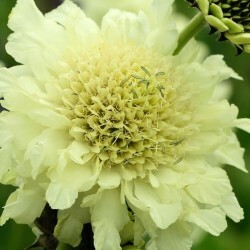 A cottage garden favorite that forms low growing, compact, neat mounds of finely cut foliage that produces beautiful yellow pincushion-type flowers on strong 24-30 inch stems. 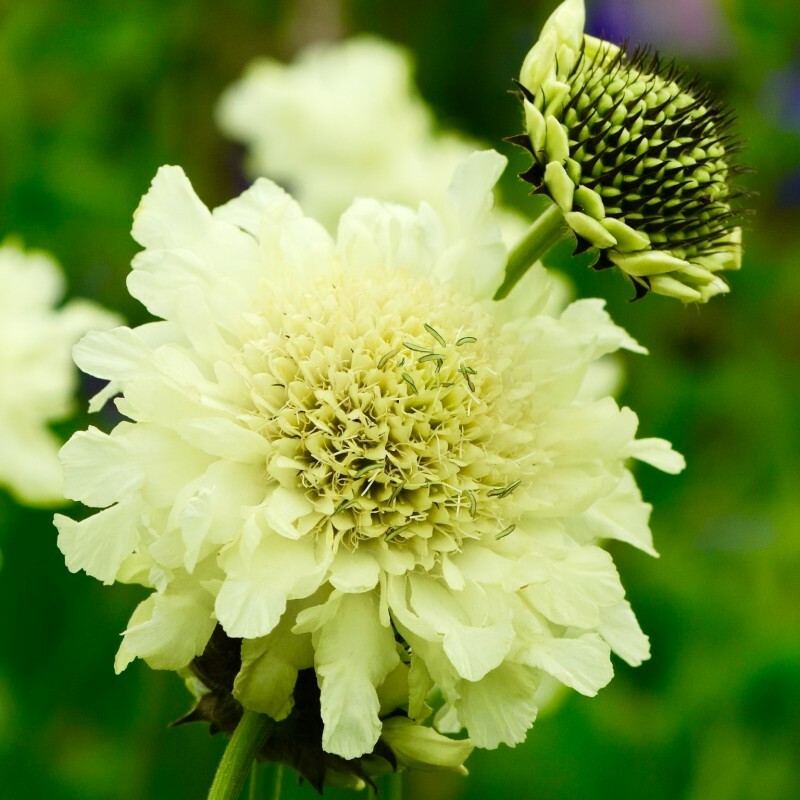 Hardy to zone 4, this perennial form of Scabiosa is easy to grow and will flower the first year from an early sowing. These soft yellow beauties never fail to bloom throughout the whole summer and keep on blooming right up to autumn. Ideal for borders and prized as a cut flower, it has been a popular choice with both gardeners and florists. It is also attractive to bees and butterflies in full sun and well drained soil. Approximately 25 seeds. Sow seed in cell packs or flats, press into soil but do not cover. Needs light to germinate. Kept at 70° F., germination is in 10-20 days. Can direct sow into prepared seed beds in groups of 3-4 seeds, spaced 12-18 inches apart. Thin to the strongest plant.